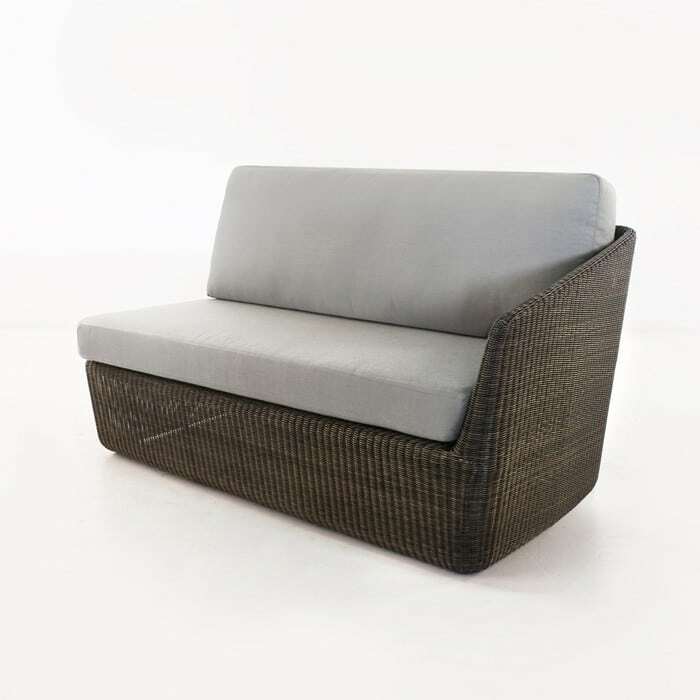 The spectacular Brooklyn Outdoor Wicker Sectional Furniture Collection offers the best styling, lowest maintenance and finest construction you can find, all in a sleek, slim contemporary look. The lightweight frame is made from powder-coated aluminum and the gorgeous deep brown shade called Mocha, offers a earthy, but stylish synthetic outdoor wicker furniture collection that is lightweight and easy to care for. The comfortable Sunbrella cushions complete a relaxing, bold sectional, with options including a left arm sofa and a right arm sofa; a center chair and a corner chair. The versatility allows for either a linear sofa sectional or an “L” shaped sectional to fit unique spaces. Sunbrella cushion.